As a glistening new container vessel is delivered to Ocean Network Express (ONE), will the carrier be able to stay in the pink? 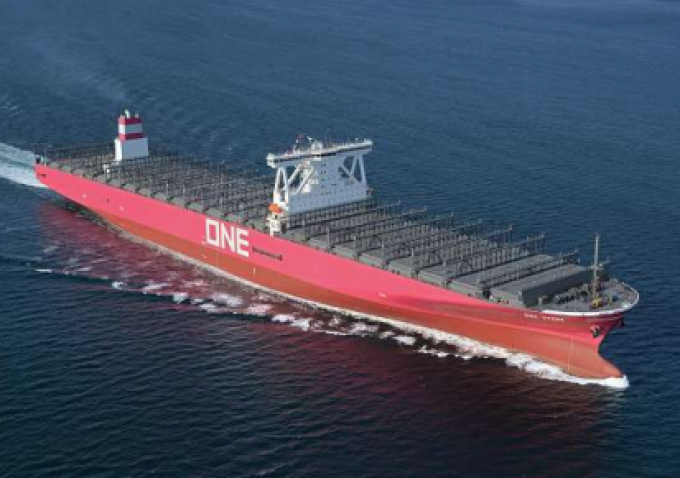 Japan’s merged ocean carrier has taken delivery of its first magenta-coloured newbuild, the 14,000 teu the ONE Stork, owned by the trio’s largest partner, NYK. The eco-friendly ship will phase into THE Alliance’s Asia to US east coast EC4 loop, with a port rotation via the Suez Canal of: Kaohsiung, Hong Kong, Yantian, Cai Mep, Singapore, New York, Norfolk, Savannah, Charleston, New York and Singapore. ONE Stork is one of eight sister ships ordered by NYK featuring a high- and a low-power range that further improves fuel consumption when slow-steaming. When ONE’s orderbook is completed this year, it will, with a total capacity of 1.67m teu, leapfrog THE Alliance lead line Hapag-Lloyd, which has an blank orderbook, to become the world’s fifth-ranked container line. “ONE is excited to take delivery of the first newbuild containership with our new corporate colour, magenta,” said chief executive, Jeremy Nixon. Since the launch of ONE on 1 April, the carrier has been beset with problems associated with merging three differently managed organisations into a single entity. Indeed, many shippers with several decades of loyalty to Japanese carriers found they were unable to book cargo with ONE, due to IT problems crippling its systems, and further complained that previous commercial contacts had “disappeared” without notice or handover. Unsurprisingly, ONE’s rivals were able to attract extra business during these first turbulent weeks without too much effort, anecdotal industry reports suggested that bookings were down by as much as 70% for the first few Asia-Europe sailings. 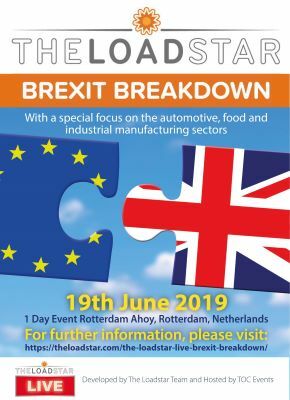 One shipper told The Loadstar recently the situation at ONE had “improved considerably”, but he was still routing some of his cargo through another carrier that had “helped out” during the difficult initial weeks of April and early May. The merger of the container businesses of K Line, MOL and NYK (the latter has a 38% stake, while K Line and MOL have 31% each) is projected to result in synergy cost savings of more than $1bn per year. However, given its disastrous start, along with downward rate pressures and spikes in costs due to more expensive fuel, ship chartering and haulage, it is difficult to see how ONE’s first financial quarter (April – June) will be anything other than disappointing.